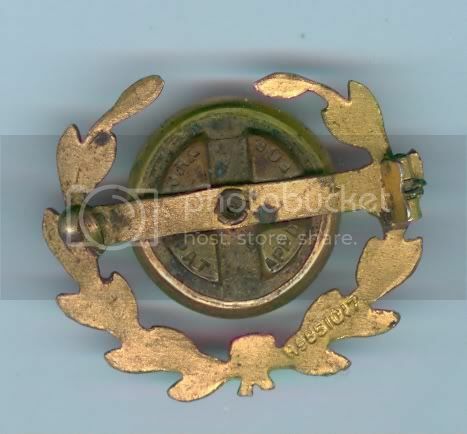 Gilt sweetheart brooch with applied button. J.R.C. maker marked. Last edited by ronmarsden; 20th March 2013 at 18:12. 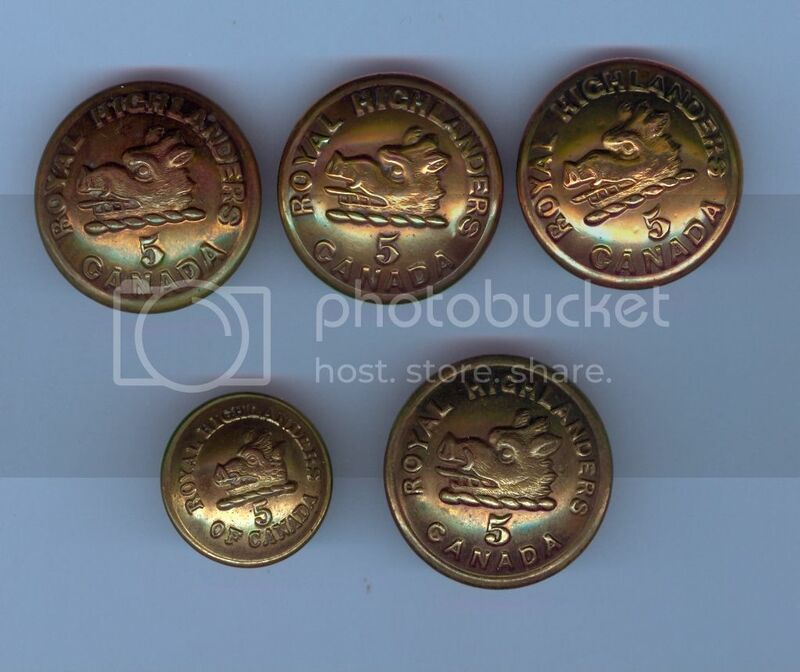 ORs buttons all by Hobson & Sons Lexington St London. 1906-1914. Last edited by ronmarsden; 20th March 2013 at 18:14. 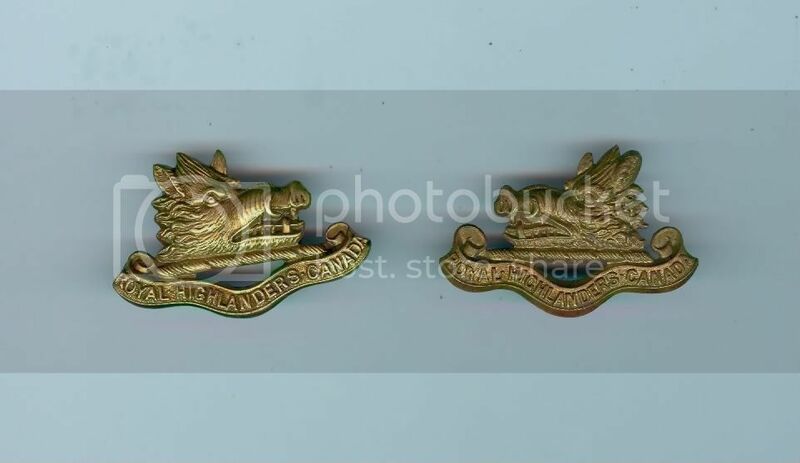 Collar badges not a matching pair slightly different patterns. 1906-14. Last edited by ronmarsden; 20th March 2013 at 18:15. 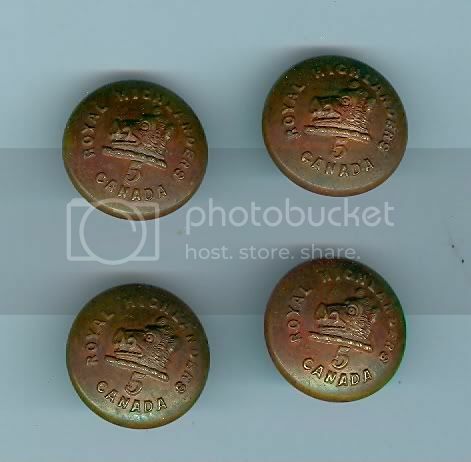 Drab officers service dress pattern by J.Ingliss Winnipeg & Montreal. Last edited by ronmarsden; 20th March 2013 at 18:16. 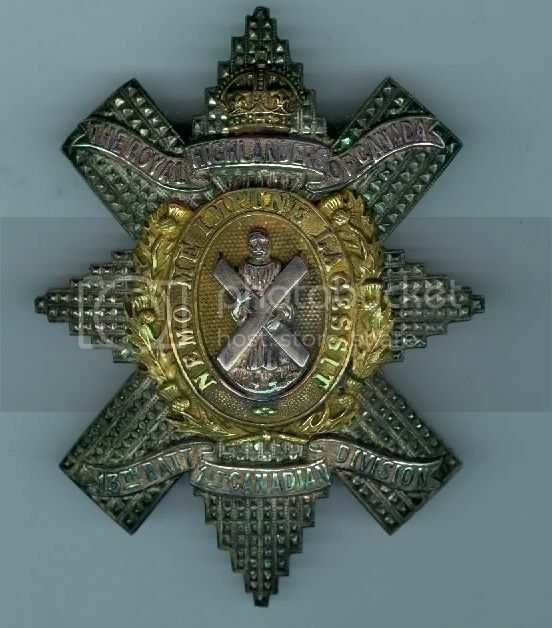 Officers service dress collar 1912, and 5th Royal Highlanders reserve lapel badge. Last edited by ronmarsden; 20th March 2013 at 18:19. 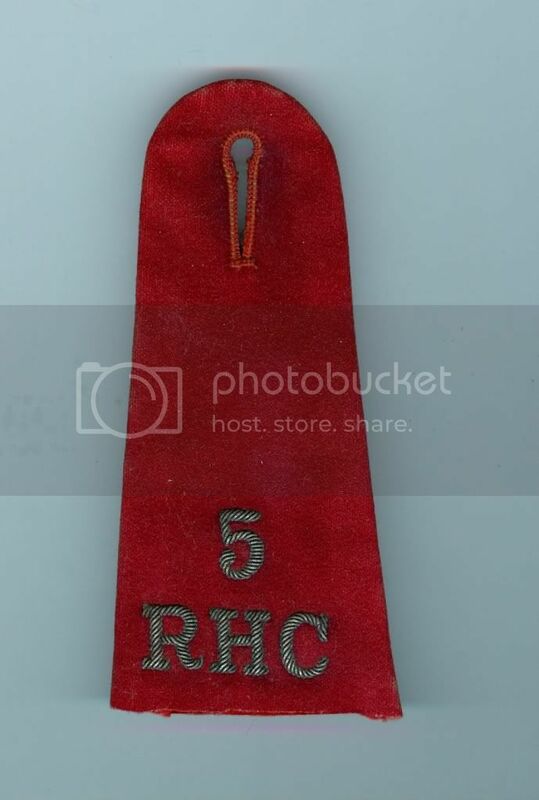 Epaulette from a scarlet tunic silver wire thread. Circa 1910. Last edited by ronmarsden; 20th March 2013 at 18:20. 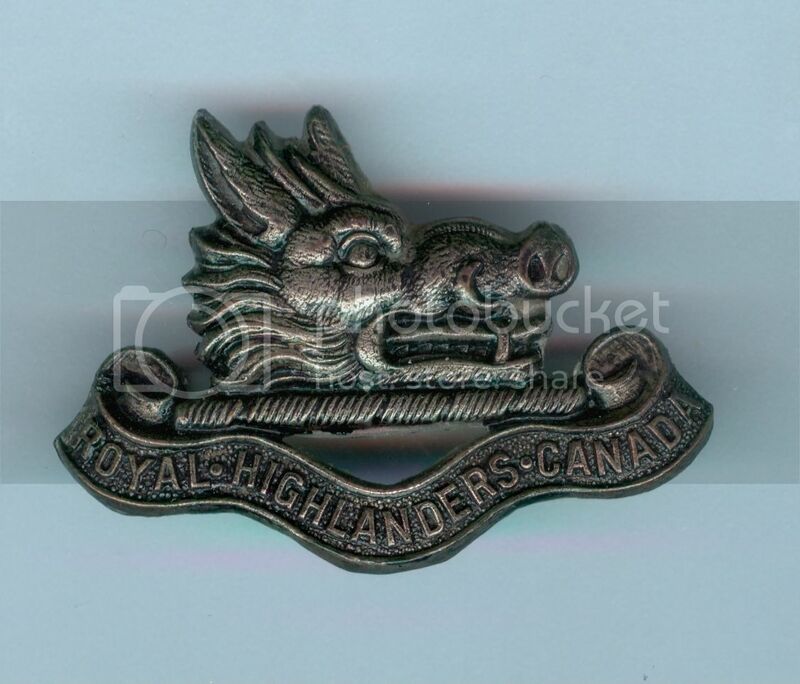 5th Royal Highlanders of Canada in WW1. 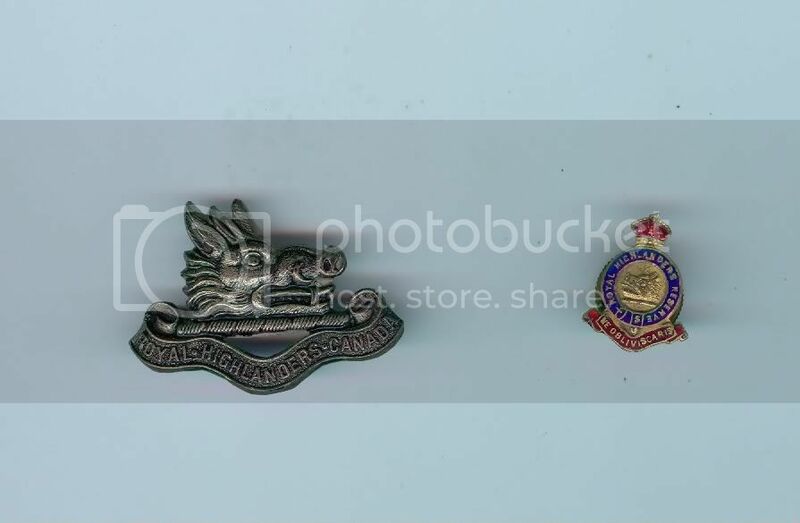 Formed in August 1914, 13th Batn Canadian Expeditionary Force Royal Highlanders of Canada. of Birmingham the bronze finish applied by electroplaters James Walter. The 13th were issued with khaki hose tops a gift from the Marchioness of Tullibardine. Last edited by ronmarsden; 20th March 2013 at 18:22. Officers 13th C.E.F. Bn. 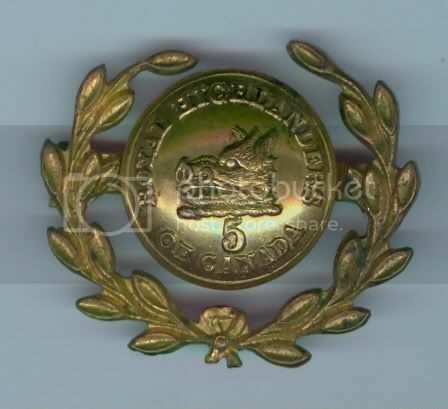 glengarry badge. 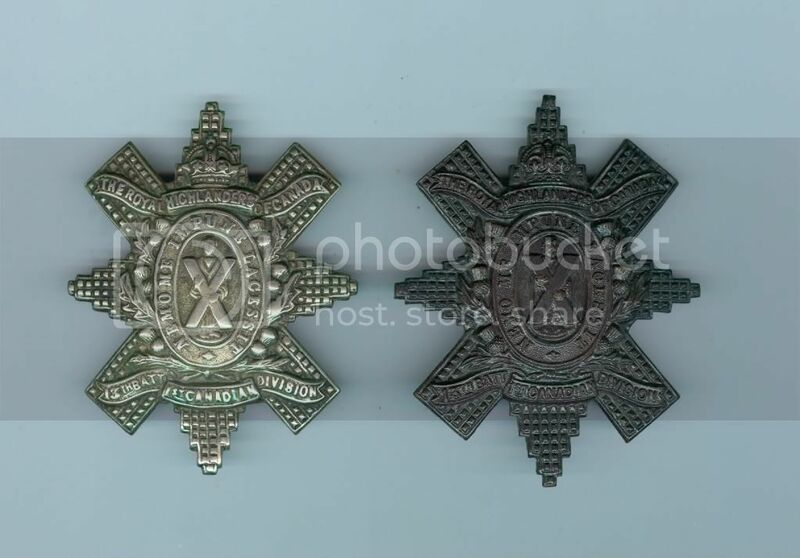 Solid silver badge maker marked McDougalls London(Ludgate Hill). Fire gilt thistle wreath and crown now tarnished. Hard to find badge. Last edited by ronmarsden; 20th March 2013 at 18:24. 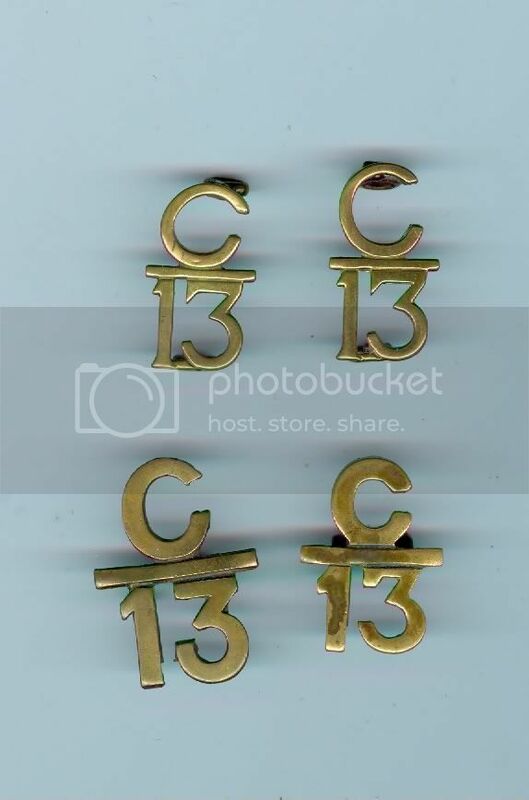 13th Cef ORs collar badges, two patterns slim & wide. Larger one possibly Sgts? Last edited by ronmarsden; 20th March 2013 at 18:26. 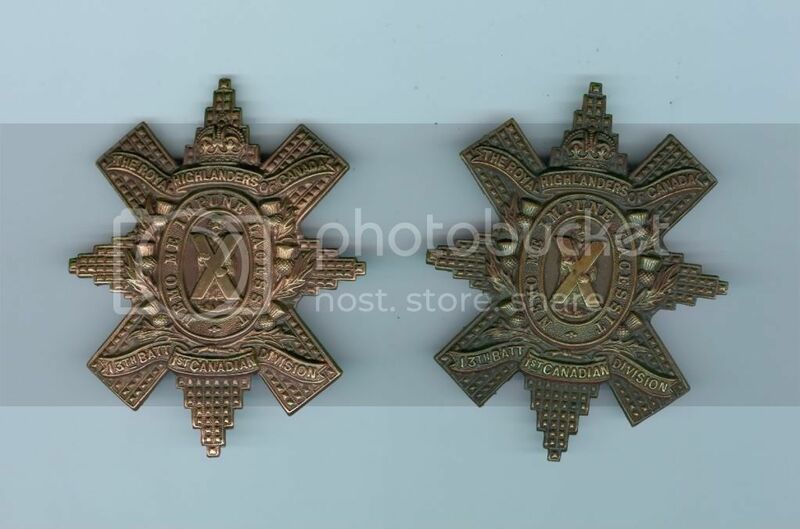 Two other versions of the Tiptaft ORs badge in copper and bronze. Last edited by ronmarsden; 20th March 2013 at 21:18.